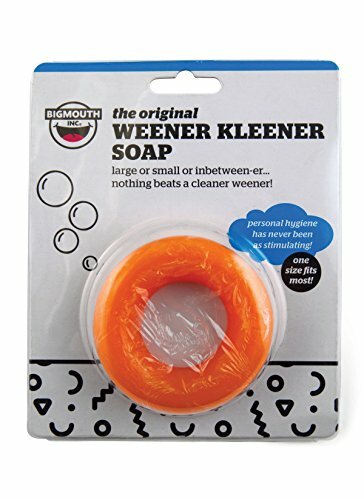 Weener Kleener Soap – No More Stinky Crotch! I’m sure all the gals out there can appreciate a man with a clean wiener. And thanks to BigMouth Inc, guys now have the ultimate solution for stinky crotch and no more excuses for being dirty “down there”. Introducing Weener Kleener Soap – the donut shaped soap ring that dirties the mind and cleans the body. There’s nothing to it. Just slide your wiener through the hole and lather up to your heart’s content. One size fits most. Feeling frisky? No problem. Start your own Weener Kleener soap games with some good ole fashioned ring toss. Perfect for 1 or 2 players. If ring toss isn’t your thing, try some simple power lifting. At 2.5 oz per ring, how many can you lift before you go limp? 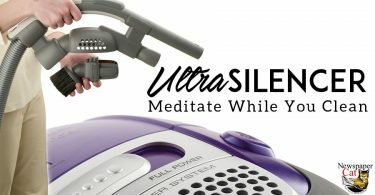 Just don’t be fooled by the competition (Willy Washer I’m looking at you). Get the original. No man wants to get caught with his pants down using generic Weener Kleener.